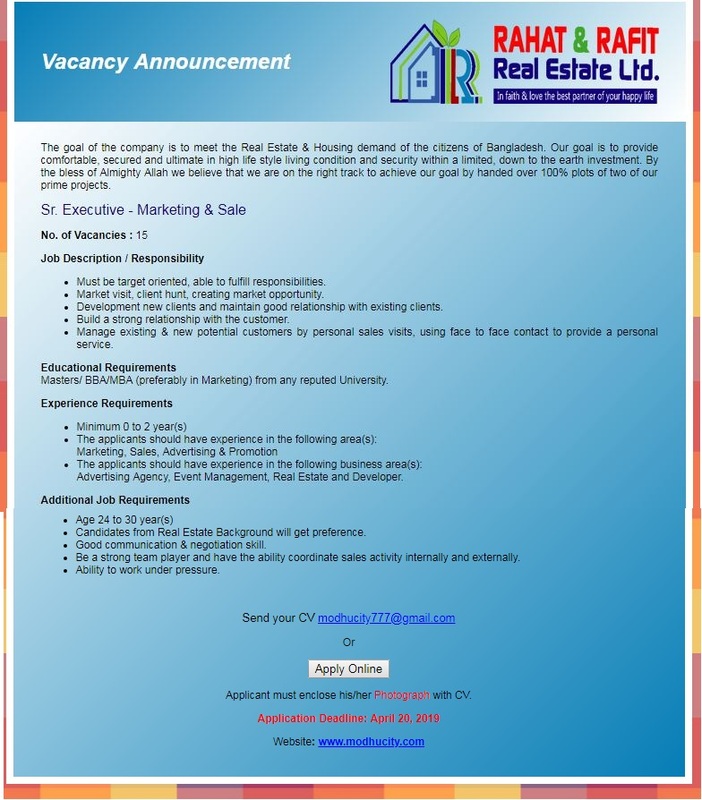 Rahat & Rafit Real Estate Ltd Job Circular 2019 has been published by their authority in daily online job portal and to get from the best jobs and the education portal website in BD Jobs Careers- www.bdjobscareers.com. For the user understanding, we would like to inform you that,The goal of the company is to meet the Real Estate & Housing demand of the citizens of Bangladesh. Our goal is to provide comfortable, secured and ultimate in high life style living condition and security within a limited, down to the earth investment. By the bless of Almighty Allah we believe that we are on the right track to achieve our goal by handed over 100% plots of two of our prime projects.